The Computing Alliance for Hispanic-Serving Institutions (CAHSI) is a consortium of Hispanic-serving institutions (HSIs) committed to consolidating the strengths, resources, and efforts of public, private, federal, state, and local organizations that share the core value of increasing the number of Hispanics who pursue and complete baccalaureate and advanced degrees in computing areas. CAHSI plays a critical role in evaluating, documenting, and disseminating effective practices that support students in computing disciplines at the critical junctures in the academic pipeline. This includes the transition from high school to college, from community college to 4-year programs, from college to graduate school, and from graduate school to the professoriate. CAHSI initiatives and practices actively engage students in learning experiences, prepare them to succeed in STEM courses and assume leadership roles, and develop skills required for research and cooperative team work. Above all, CAHSI mainstreams mentoring and the building of structured academic networks for students that are inclusive and prepare them for success in coursework from entry level through graduate school and, thereafter, into the STEM workforce. CAHSI has built a pedagogical and intellectual community to support student success in its departments, and has created human infrastructure to support its initiatives by training faculty at member institutions in effective evidence-based practices. CAHSI provides ongoing support, resources, and materials through its website (http://cahsi.org), regular dissemination events (e.g., the CAHSI Summit), and interactions among CAHSI members. CAHSI draws strength from HSIs in six states–California, Florida, Illinois, New Mexico, Texas, and, recently, New Jersey–and the Commonwealth of Puerto Rico, all of which have some of the largest Hispanic populations in the U.S. CAHSI’s shared aspiration is to reach 20 percent or more representation of Hispanics who earn formal credentials in computing by 2030. CAHSI aims to grow and sustain a networked community committed to recruiting, retaining, and accelerating the progress of Hispanics in computing. CAHSI’s common goals are to: 1) challenge students’ knowledge, skills, and abilities so that they are positioned to thrive in the workforce, 2) support pedagogical and professional growth for those who can impact Hispanics, 3) expand meaningful partnerships that align with strategic regional and national efforts, and 4) inform policy through evidence. CAHSI recognizes the importance of unifying efforts to address the complex problem of the low representation of Hispanics in higher education and, in particular, the need to change how we educate, engage, and prepare our students to succeed in the labor market. The rate of change is too slow, and the nation must accelerate the change if we are to meet the technological demands and ensure the necessary diversity and richness of our workforce. CAHSI posits that change cannot occur without the integration and coordination of deliberate efforts by industry, government, and nonprofits to increase Hispanics in computing and STEM. Indeed, a collective effort is imperative. CAHSI adopted a collective impact approach in 2016 through an NSF INCLUDES funded project. Achieving large-scale impact (Hanleybrown, 2012; Cabaj & Waters, 2016) requires defining shared aspirations, increasing cross-sector alignment and learning among organizations, defining high-leverage activities, establishing common measurements, and sharing lessons learned. Working with industry and nonprofits, CAHSI has established a pedagogical and intellectual community and created the infrastructure to both accelerate student success and link computing to social good. This following sections present an example collective important effort and efforts being piloted at two CAHSI institutions, New Mexico State University (NMSU) and University of Texas at El Paso (UTEP), to accelerate impact. In collaboration with Google, UTEP, NMSU, and California State University-Dominguez Hills (CSU-DH) have been working to develop three one-credit hour courses in problem solving. The intent of the courses is to connect students to departments early in the program and to be more deliberate in applying an approach to solving problems, a skill that is valued by employers. Over six weeks, the three institutions met with Google experts to review the content of the courses and identify problems. In addition, students presented their sample artifacts developed during the courses to Google. Early assessment of the courses has shown high levels of satisfaction by students and a shift in how students view and think about problem solving (i.e., the process of problem solving rather than solving problems by brute force). In interviews with students, students expressed how they valued the opportunity to meet with professionals and the experience of working as a team to solve problems. One student noted: “My favorite part of the class was having open discussions about the various solutions we came up with. I felt comfortable asking questions and offering solutions.” Another student recounted how the course provided tools that could be used in other courses. The beginner course uses MIT’s IDEAL approach (Bradford & Stein, 1993) to provide students with a concrete approach to solving problems that are not computing based. Students learn how to break down a problem, identify resources needed to solve the problem, ask clarifying and probing questions to improve understanding of the problem, rephrase a problem to demonstrate understanding, assess potential solutions, articulate an approach to solve the problem, and reflect on the process and solution and identify ways to improve. The second course provides a computational thinking approach to solving problems. The intermediate problem-solving course involves formulating problems in a manner that enables the use of computers and related tools to find a solution. The course uses the IDEAL and computational thinking approaches. Students build upon their problem-solving skills to address complex real-world problems. Students develop the ability to break down complex problems, identify reusable modules, and build solutions using a bottom-up method. The advanced course is suitable for students who have already completed data structures. It adopts McKinsey’s seven-step problem-solving model to formalize the problem-solving process, thus allowing a greater depth in the formalization and analysis of the problem and its solution. The course also integrates problem solving with the learning of various Linux tools (e.g., basic shell scripts, various Linux commands, and awk). Each week of the course is articulated in two meetings. The first meeting presents a problem in vague and often conflicting terms, and allows students, in teams, to brainstorm and develop sequences of questions to clarify the problem requirements. The second meeting lets the teams to present their solutions, critique them in a studio-style setting, and converge on an optimal solution to the problem. Another version of the advanced problem-solving course is focused on problem solving for coding interviews. Through the NSF Revolutionizing Engineering Education program, UTEP’s CS department is developing a model of change based on asset-based approaches. The intent is to create an environment that motivates, connects, and immerses students from diverse backgrounds throughout their plan of study. It also seeks to motivate faculty to foster a capacity-building framework that reinforces practice-based learning. 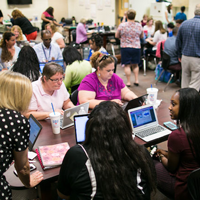 The consideration for curriculum reform is driven by a desire to prepare culturally and linguistically diverse students to lead in a globalized workforce. Communities are strengthened when organizations encourage and support diversity. Often times, groups of people, like welfare recipients, elders, youth, and minorities, are marginalized and not recognized as contributing citizens within their community. –Kretzmann, McKnight et al, 2005. Using an asset-based approach (Kretzmann & McKnight, 1993), UTEP’s CS department has examined physical spaces (e.g., places where students, faculty, and students and faculty meet, learn, conduct research, and relax), networked connections and associations (e.g., centers, partnerships, internships, and student organizations) that can support faculty and student professional development, and individual assets (e.g., knowledge, gifts, traits, skills, and capacities of faculty and students) to mobilize change centered on student success. Asset-based teaching and learning recognizes students’ linguistic and cultural strengths and how they can contribute to learning new knowledge, content, and practice. New departmental practices use an asset-based approach to create inclusive environments. Asset-mapping approaches can be used to reflect on the assets and how they relate to student success. With these efforts in incorporating inclusive environments, the department has engaged faculty, as a collective, to create a survey to better understand students’ experiences and engagement, as well as analyzing the data to identify strategic actions. 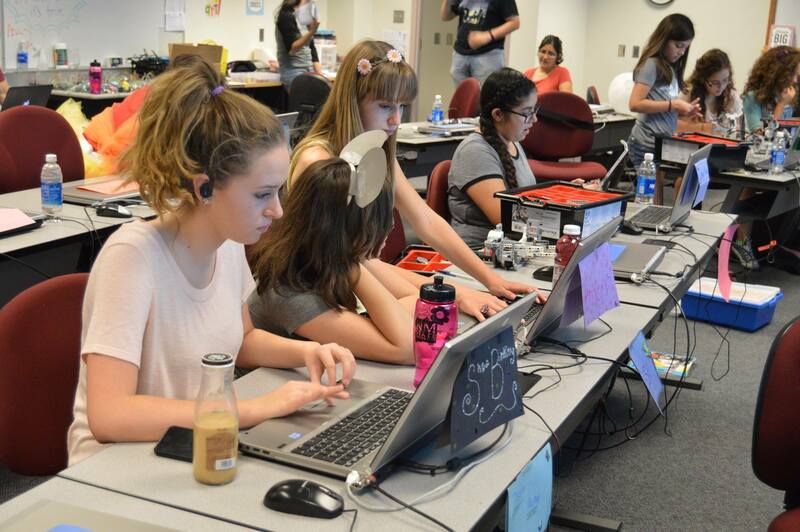 The Young Women in Computing (YWiC) program at NMSU was launched in 2006 and focuses on exploring, evaluating, and disseminating evidence-based practices to promote the participation of women in computing-related disciplines. The program spans a broad range of grades, from fifth grade to college seniors, and builds on the following core values: (1) development of social capital, through the creation of group identity, sense of belonging, and a broad network of support (e.g., peers, family members, and community leaders); (2) development of self-efficacy through mastery experiences, providing female students with experiences that are beyond what male peers would have typically gained; (3) development and reinforcement of positive images and positive role models, with an emphasis on peer and almost-peer role models; (4) exploration of computing in the context of its relevance to creativity and the solution of problems of societal importance. Over the last 11 years, the program has reached more than 15,000 students, provided professional development to several dozens of teachers, and laid the foundation for an increase of women in the NMSU computer science department from 8 percent in 2006 to 24 percent in 2010. The activities performed by CAHSI have highlighted several challenges and opportunities. 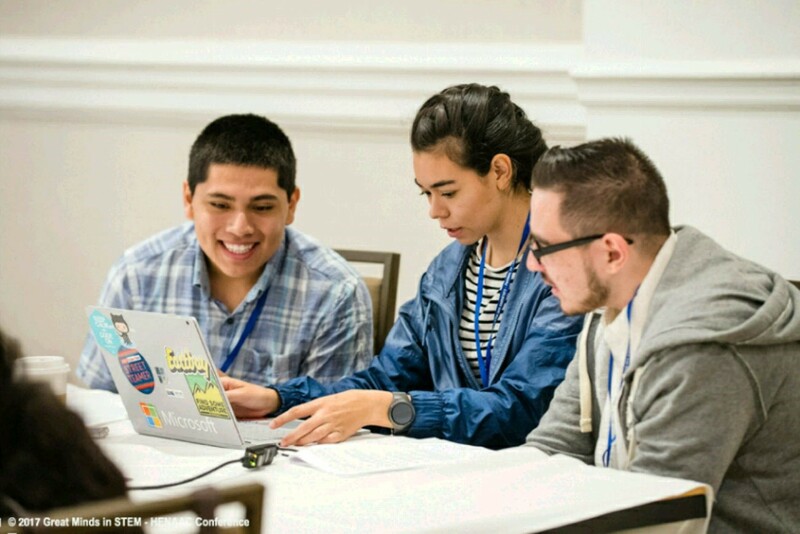 Computer science programs at Hispanic-serving institutions, just like many non-minority serving schools, have witnessed a rapid growth in enrollment at the undergraduate level. At the national level, the increase in enrollment has not significantly impacted the diversity in the student population. According to the CRA Taulbee survey, the percent of Hispanic students enrolled in Bachelor’s CS programs over the last four years has remained about 7 percent. Of CAHSI’s charter members, five departments have CS growth rates among majors ranging from 10 to 25 percent per year from 2013 to 2016, and two departments have experienced more modest increases. CAHSI degree production has increased, and compares favorably in growth particularly this year, where CAHSI produced 158% of the degrees produced in 2002. The comparison departments in an IPEDS dataset have only reached 72% of the 2002 peak. CAHSI also compares favorably in terms of the production of Hispanic computing degrees when compared to all HSIs in the IPEDS database—while CAHSI departments graduate 46% Hispanic students in mainland U.S. departments, the mainland US HSIs as a whole have a much less desirable record of production with only 24% Hispanic computing degree production. Hispanic students are not traditional students who start a program and complete it in four years. A 2013 CRA survey from the Data Buddies program revealed that 50 percent of students at CAHSI institutions (n=255) worked full-time and 53 percent were first-time college students. 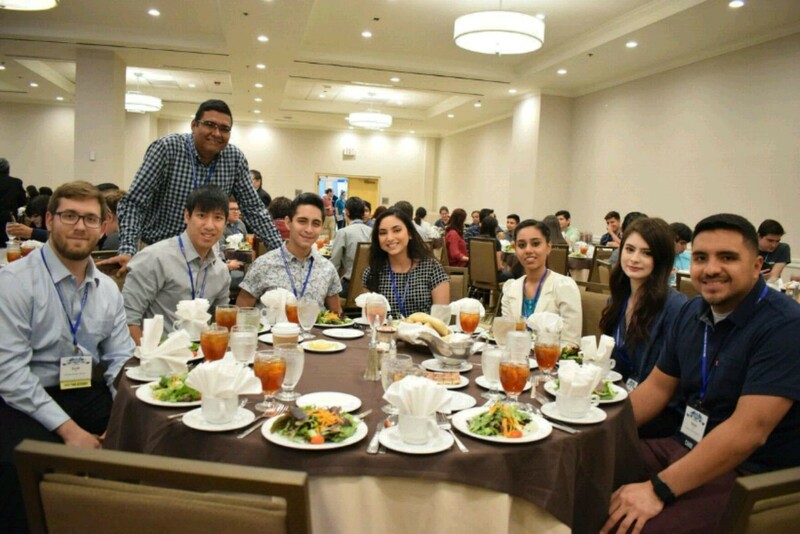 CAHSI students’ backgrounds reflect trends of undergraduate students across the nation —they are increasingly beginning their studies in community colleges, are more likely to be ethnically diverse, and are working part- or full-time, to a greater extent, to support their educational pathways. Economic hardships cause almost a quarter of CAHSI students to stop out (i.e., suspend their studies) (Gates, Thiry, & Hug, 2016). Over the years, CAHSI has consistently provided extensive support to students throughout their degree programs. The number of CAHSI students enrolled in CS-0 courses increased in 2016 from 449 to 902 students, possibly reflecting the growth in undergraduate enrollments in CAHSI departments. CAHSI’s representation of women in two of its signature initiatives rises above the national average of women undergraduates in computer science. Nearly one-quarter of the participants in CAHSI initiatives were women and female participation in CS-0, PLTL surpassed the national average of 17% in CS/CIS (Thiry & Hug, 2017). The departments from CAHSI institutions are dedicated to student success and have instituted support systems within their departments to bolster student retention. CAHSI now serves as a resource for institutions and organizations who seek to learn and adopt CAHSI practices and recruit CAHSI graduates. Indeed, students who graduate having balanced work with their studies and family enter the labor market with higher work ethics, maturity, and teamwork skills. This paper is based on work supported by NSF grants CNS-042341 and 1551221. 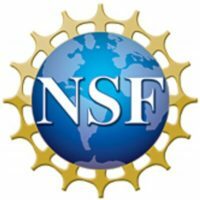 Any opinions, findings, and conclusions or recommendations expressed in the paper are those of the authors and do not necessarily reflect the views of the NSF. The authors would also like to thank Heather Thiry, Sarah Hug, Martine Ceberio, Mohsen Beheshti, Lorne Needle, Mike Gainer, and Amlan Chatterjee for their contributions to the efforts reported in this article. Bransford, J. D., & Stein, B. S (1993). The ideal problem solver: A guide for improving thinking, learning, and creativity (2nd ed.). New York: W.H. Freeman. Gates, A., Thiry, H., & Hug, S. (2016). “Reflections: The Computing Alliance of Hispanic-Serving Institutions.” ACM Inroads, 7(5): 69-75. Villa, E., Gates, A., Kephart, K., Hug, S., Kretzmann, P. & McKnight, J. L. (1993). Building Communities from the Inside Out: A Path Toward Finding and Mobilizing a Community’s Assets. ACTA Publications. Kretzmann, P., McKnight, J.L., Dobrowolski, S., & Puntenney, D. (2005). A Community-Building Workbook from the Asset-Based Community Development Institute School of Education and Social Policy. ABCD Institute. Dr. Ann Quiroz Gates is an AT&T Professor and Chair of the Computer Science Department and past Associate Vice President of Research and Sponsored Projects at the University of Texas at El Paso. Gates directs the NSF-funded Cyber-ShARE Center of Excellence, which was established in 2007 with a mission to advance and integrate cyber-enhanced, collaborative, and interdisciplinary education and research. She leads the Computing Alliance for Hispanic-Serving Institutions (CAHSI) and is a founding member of the National Center for Women in Information Technology . Dr. Enrico Pontelli is a Regents Professor of Computer Science and Dean of the College of Arts & Sciences at New Mexico State University. He directs the interdisciplinary Center for Research Excellence in Design of Intelligent Technologies for Smartgrids (iCREDITS), established in 2014 to promote interdisciplinary teaching and research in the field of smartgrids and smart energy management. He serves in the leadership team of CAHSI and is the founding director of the Young Women in Computing Program. He is an active researcher in the fields of computer science education, artificial intelligence and assistive technologies.